Summary: When puberty changes her body and comments about her weight begin to get to her, Paula endeavours to lose some weight over the summer. But what starts out as losing a few pounds turns into over-exercising, binge eating, vomiting and not eating at all, and Paula’s doctor recognizes she has become anorexic with bulimic tendencies. A school project has Paula researching her family’s roots, and she uncovers her grandmother’s connection to the Armenian genocide beginning in 1915. As her weight gets lower and lower, Paula has a heart attack one day while exercising and finds herself transported into her Armenian great-grandmother’s body at the time of the genocide. Drawing on her strength, Paula consents to treatment for her eating disorder when she wakes up, using her vivid dream as a conversation starter to suss out her grandmother’s memories of that time. 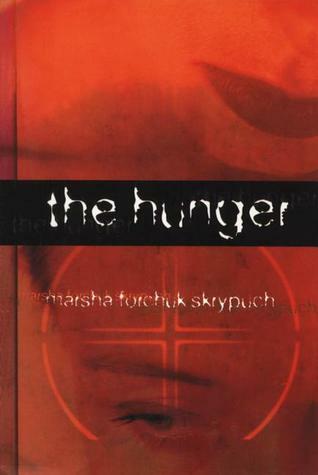 Review: The Hunger by Marsha Forchuk Skrypuch is actually two stories combined into one book. Each story could be a book in their own right, but together they leave the reader unsatisfied as the story-telling itself becomes fragmented. The characters themselves are interesting and engaging. I liked Paula and thought Skrypuch did a decent job of setting up her gradual development of an eating disorder. Paula had everything in her life under such tight control, but when puberty changed things she fought back and it turned into an unhealthy obsession that threatened her life on several occasions. When she had the heart attack though, trying to burn off calories by running up and down a flight of stairs, my focus went from Paula’s present to her great-grandmother’s experiences during the Armenian genocide, and I found after the dream/vision was over I was reluctant to go back to Paula again. It’s like there’s this whole historical fiction story within a story about a girl dealing with anorexia. And once they intertwined, I found I didn’t get any of the answers I wanted about the characters Skrypuch encouraged me to care about. Especially when it turned out that the girl Paula inhabited was actually her adopted great-grandmother, and not her biological one. I had so many questions after that seemingly brief passage of text! How did Kevork and Marta end up reuniting? When did Marion die and why did her sister end up raising her child? Who is Pauline’s biological father? What happened to Marion after she was separated from her sister and how did they find each other again? As for Paula’s story, I did appreciate that although she changed her mind about wanting to live after vicariously experiencing her great-grandmother’s life, Skrypuch acknowledged that food wasn’t suddenly and magically appealing to her. Instead she had to work toward her recovery on a daily basis, and it was a struggle with many setbacks. But all I’m left with is an overwhelming desire for more information. I, too, didn’t know about the Armenian genocide and will now be adding it to my list of subjects to read about on a non-fiction basis after my Marathon of Books. *Well, that will teach me to do more research before writing my review. Skrypuch has written more about Marion in a sequel called Nobody’s Child. Have to get my hands on that book because I’m sure it will be an intriguing read. 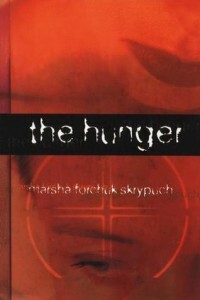 The Hunger by Marsha Forchuk Skrypuch is published by Dundurn Press, (1999).